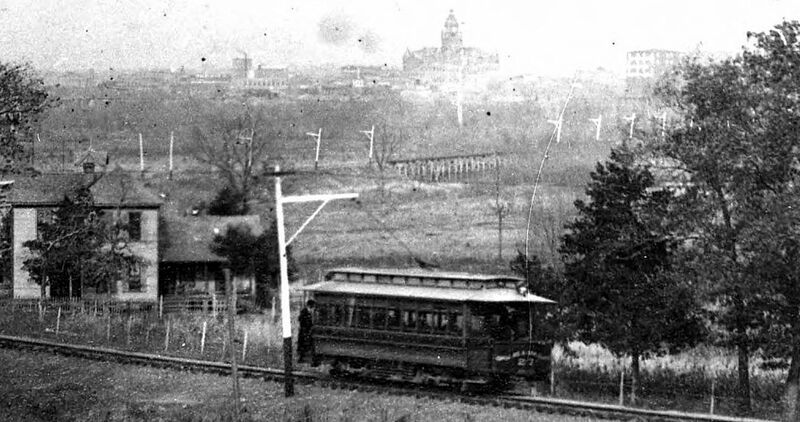 As present-day trolley service to Oak Cliff has been in the news in recent months, here’s a pastoral view of a little trolley chugging through the wilds of Oak Cliff in 1895. In the background, across the river, the still-fairly-new courthouse looms like a mirage. Below are a few details, magnified. (All images are much larger when clicked.) Enjoy! 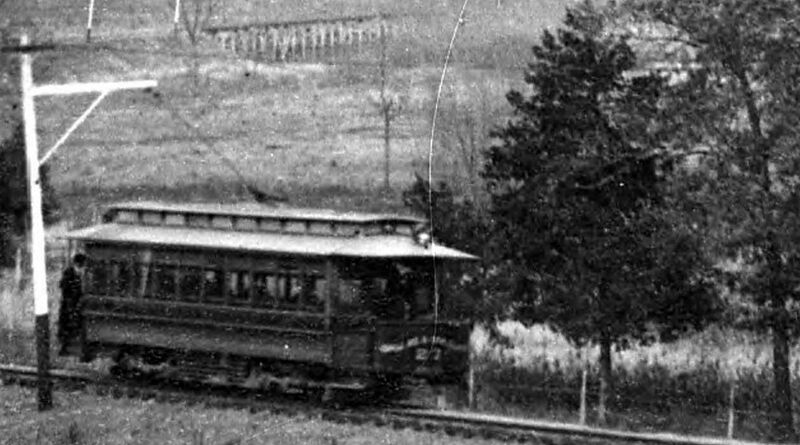 Photo (labeled by the Houston Public Library as “Trolley moving through the woods”) is by Henry Stark, taken on a visit to Dallas in the winter of 1895/96; from the collection of the Houston Public Library — it can be viewed here. For more on Henry Stark, see the previous post “Henry Stark’s ‘Bird’s Eye View of Dallas,'” here. 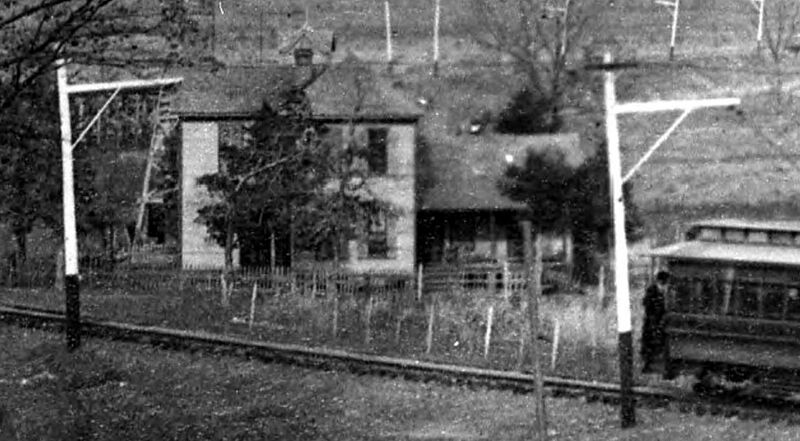 Other photos which I’ve “Zoomed In On the Details” can be seen here. CLICK PHOTOS — REAL BIG. Love this blog! I love to read about old Dallas. Thanks! Thank you, Kim! Glad you made it here! Simply an amazing find. Thanks for featuring this. Thanks, Christy! I love this little trolley. Great photo Paula. Don’t know of you’ve given any consideration to the location but I would place it about Comal Street where Gardner Park would soon be built. 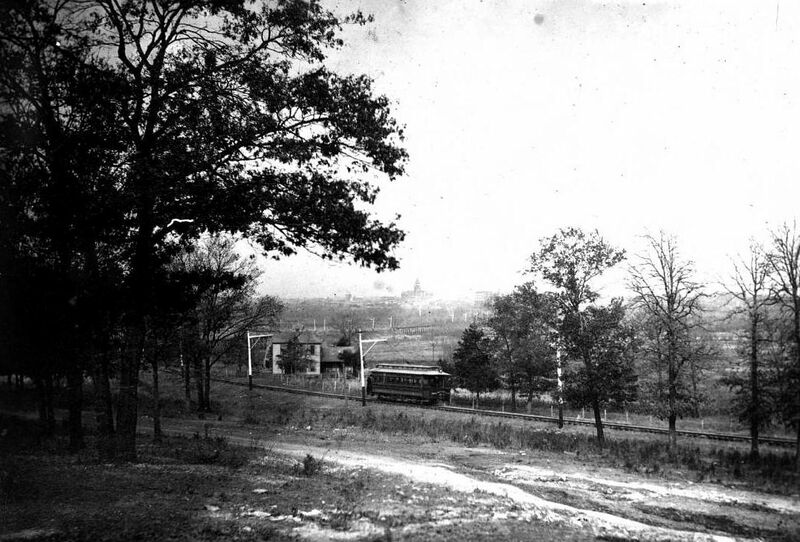 The dirt road in the foreground would be have been the predecessor to Jefferson. Thanks, MC! I’m afraid my knowledge of Oak Cliff is sadly lacking. 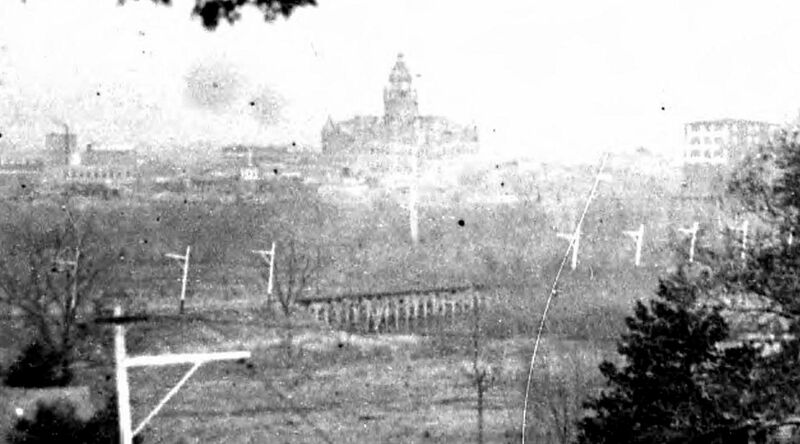 Wherever it is, it used to have a great view of the courthouse!